Welcome to Alexandra Houldsworth who joins the geo-environmental Transaction Support team as Principal Consultant. Alex previously worked at ITPEnergised, Arcadis and Waterman where she gained her experience in project management and delivering due diligence for property and corporate transactions. Alex also has experience in delivering environmental permit applications, EHS legal registers, compliance auditing and environmental management systems. Alex has worked within a range of sectors including manufacturing, logisitics, chemical, pharmaceutical, aviation, food and drink, automotive, construction and commercial business, and worked on projects in the UK, Europe, Russia, India and China. 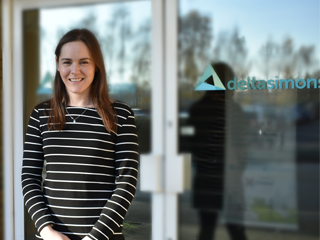 Having gained her Batchelor’s degree in Geography from the University of Sheffield, Alex’s specialisms are due diligence, portfolio and programme management and EHS compliance.